The LAS specification requires that the File Source IDs and the Point Source IDs match (i.e. are the same number) when the LAS file contains data from a single flight line, drive pass, or strip of data. To ensure that this requirement is met, we can use a combination of TerraScan and GeoCue processes. Use TerraScan’s Output by line macro step to output raw strips by flight line and use the assigned flight line numbers in the filenames. This is accomplished using the “#line” (Active line number) naming variable. 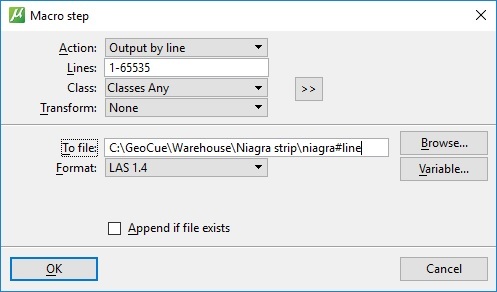 Import the named-by-line strips into GeoCue using “Import LIDAR Data”, using the “Copy Files to Warehouse” and the “Set From File Names” options. 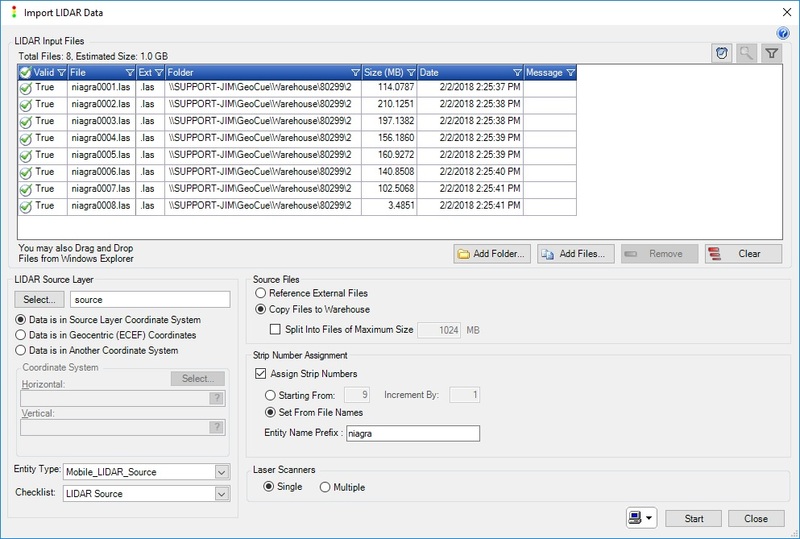 The resulting strips in the GeoCue warehouse will have identical File Source ID and Point Source ID numbers as indicated in the file header, meeting the LAS specification requirement. This entry was posted in GeoCue Tools, Tips and Workflows, Terrasolid Tools, Tips and Workflows and tagged by line, File Source ID, HEader, import lidar, LAS, source id, Strip, USGS.